Through the SHARP-L mailing list I learned about a recent BBC radio programme about audio books. It’s just under half an hour long, and worth listening to for anyone who reads books in this form, or is interested in book history in general. Issues covered include the practicalities of recording audio books, and the long history of audio books and readers’ experiences of them. It also touches on the continuing debate about whether listening to an audio book is an equivalent form of reading to using print books. The only major downside for me was that there was no input from contemporary listeners of audio books giving their own experiences, with far more focus, for example via Germaine Greer’s example, on authors and how they viewed their books being turned into audio books. Though Dr Matthew Rubery provided academic coverage of some reader experiences, helping redress things somewhat. I’m planning to follow up some of his writings on this subject. The programme can be listened to online, and also downloaded in MP3 format for keeping to listen to later. I received word that my conference talk proposal has been accepted, so I need to write that talk for definite now. And I now have a deadline for the revised version of the accepted professionals paper, by June, so I can deal with other more looming things first. My immediate priority now is to write the talk for the archivists conference, or at least finish developing the mind map version of its content, which I could turn very easily into a talk nearer the conference in April. After that I will look afresh at the chapmen material and see where things stand with that. I’m still gathering secondary material, for me to read and assimilate. Masses! But that is good. And I will start to transcribe the other detailed chapmen inventories I found, focusing on any reading material that was recorded. There is a chance that I could have something ready to submit to a journal before the 1st April 2013 open access deadline, but I’m not too worried if not, and will just expunge anything necessary to avoid problems. I’m also taking a bit of time to work on some fun non-academic articles for a planned ebook project. It’s fun being creative like this, and a bit different from my usual academic writing, which is a welcome change. I blogged earlier this month about my research and writing plans for the month. I’m checking in here with a progress update, continuing in the spirit of Academic Writing Month, which I found so motivating. A few days ago I submitted my Melrose journal paper by email. I’ve already had a reply from the editors, and it will now go through the due consideration process to see if they want to publish it. So that’s nicely out of the way and in their hands. Regarding the chapmen paper I sent a query to the SHARP-L mailing list, asking for advice on comparative research in a mainland European context. That has given me lots of valuable leads. I now have a mass of relevant books in the house, most bought new or secondhand, and it is going to take me some time work through those. They are unlikely to change my conclusions, but they may give me valuable new ideas for areas to explore in a Scottish context. And I will be able to add excellent discussion of comparative research. Because of this, indeed the sheer mass of relevant comparative literature which is too interesting to overlook, I am going to postpone submitting this paper until after the 1st April 2013 deadline I had set myself. The paper will probably have to have some PhD-related context expunged, to avoid costly pay-to-publish fees, but the bulk will stay intact. 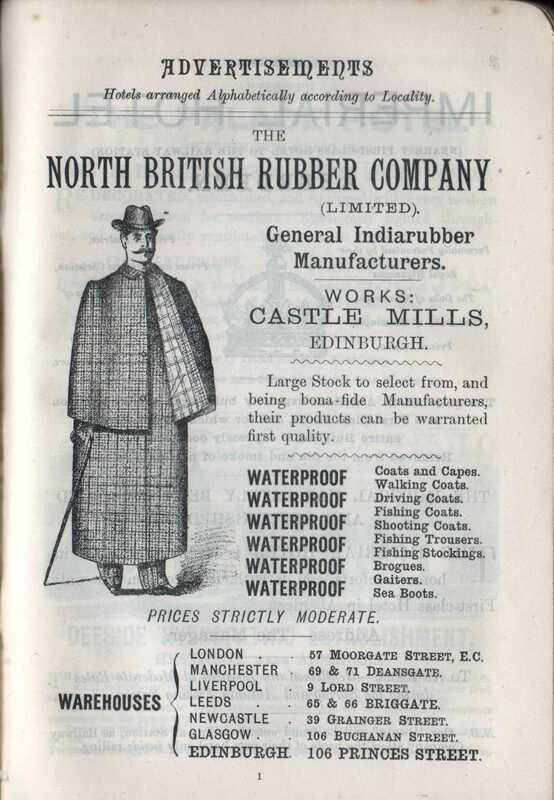 I’ve also been chasing up more possibly relevant records in the National Records of Scotland. For a short while I thought I might have located a register of chapmen, recording names and addresses, but it just gives total numbers. But even those could be interesting, though they will take time to work through. The NRS also have manuscript records relating to one of the Scottish chapmen I found with a detailed after-death inventory, including his license to sell gold. So the chapmen paper is now downgraded as less urgent, and I will allow myself adequate time to soak up the ideas in the relevant literature. This should lead to a much better paper in the long-run, and it will be a fun process to work through. But I can’t put a likely timescale on how long this process will take, given the volume of reading required, as well as more primary source research. I haven’t heard back yet about the required revision timescale for the accepted professionals paper, but I have heard from another editor that another paper of mine is now with the new editor for that journal. So that makes it two papers with editors for review. So going back to my recent to-do list for this month my next priority is to write the talk that I may be giving to a conference for archivists in Dundee in April, if my proposal is accepted. That shouldn’t be too time-consuming. I’ll mainly write it in my mind-mapping app iThoughtsHD on my iPad. And I will continue to soak up the chapmen literature. I have also identified a number of additional detailed after-death inventories for chapmen from the period I’m focusing on, and can transcribe those slowly as I’m able to. Why did you decide to become a librarian or work in libraries? For me, like many of us, working in a library wasn’t just an arbitrary job to pay the bills, we have a special affinity for the mission and values of libraries. A mission and values which focus on connecting people to the research and information they need to make informed decisions and actions, through a democratic and egalitarian approach that serves all in need, rather than focusing on maximizing profit that can be extracted from our customers. In fact, libraries are just about the only ‘information institutions’ whose business interests are centered on aiding our users, not in commodifying our users as demographic data, ‘eyeballs’, or paying customers. Academic paywalls mean publish and perish – Opinion – Al Jazeera English. I have a new blog post on the SHARP (Society for the History of Authorship Reading & Publishing) website arguing for greater engagement by book historians, and SHARP members in particular, with the digital publishing revolution. See here. 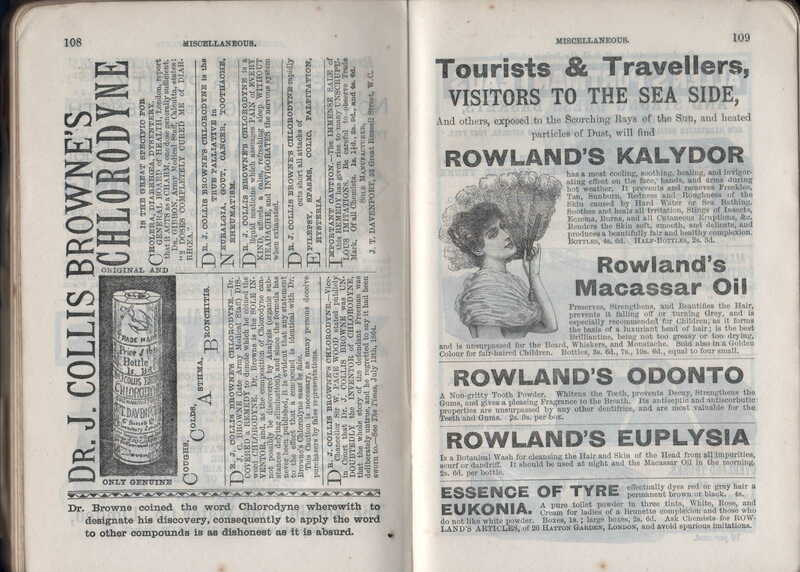 I couldn’t resist scanning a few more pages from the advertisement portion at the back of Black’s Picturesque Guide to Scotland. 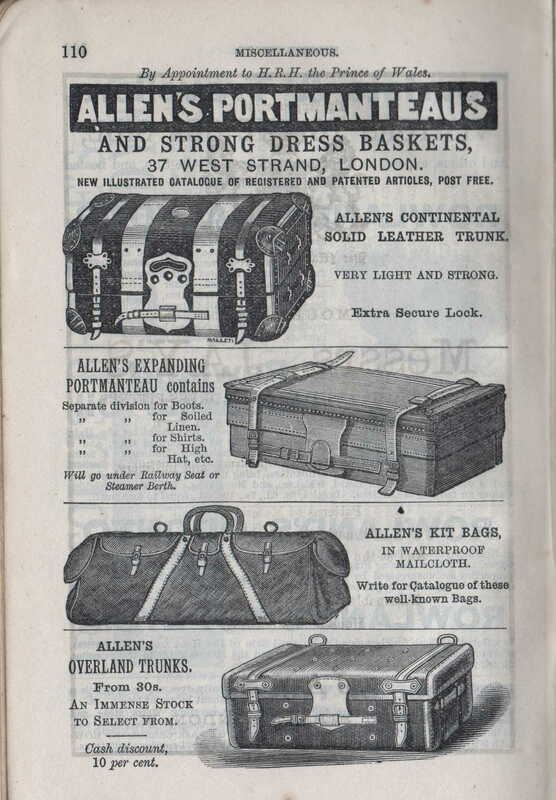 After all the lists of hotels there are adverts for other items of interest to brave travellers of the time.